The Finance Toolbar download the latest data of your favorite stock and place this in the dynamic scrolling bar. 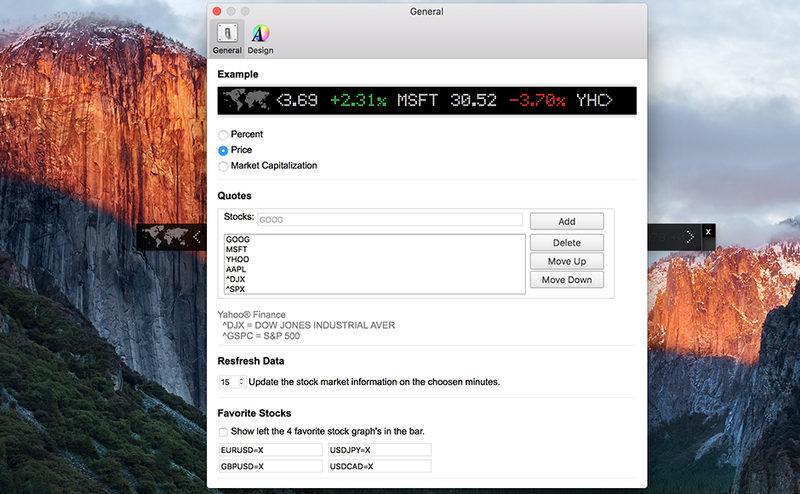 Where you as user can discover the stock name, the current stock ask and the stock price. If you want to get more detail information about your stock, click on the white stock name label. And it opens direct that finance stock in your default web browser. This live Market Data is coming from the Yahoo Finance website. It is a media property that is part of Yahoo! 's network. 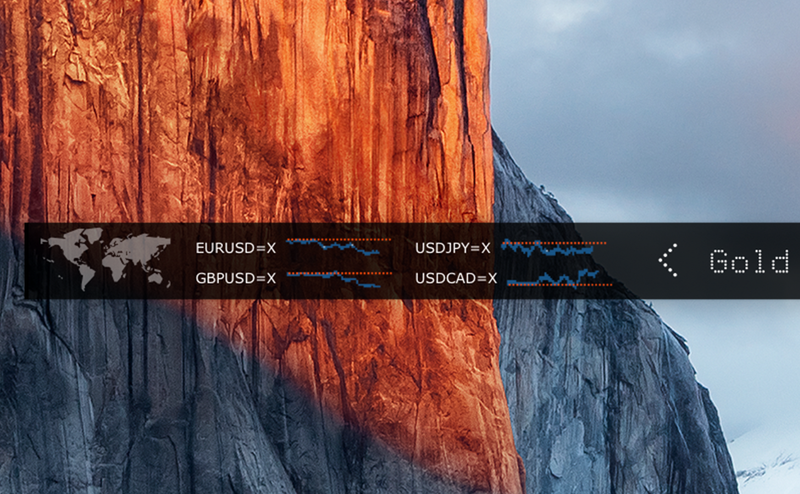 In the Finance Toolbar options page you can enable the mini live stock chart about your currency. This will be displayed left of the dynamic scrolling bar. Here you get a deep preview of the live change of that currency such as Euro vs US Dollar, USD vs JPY, GBP vs USD or USD vs CAD. On the options page you can change what to show in the toolbar. 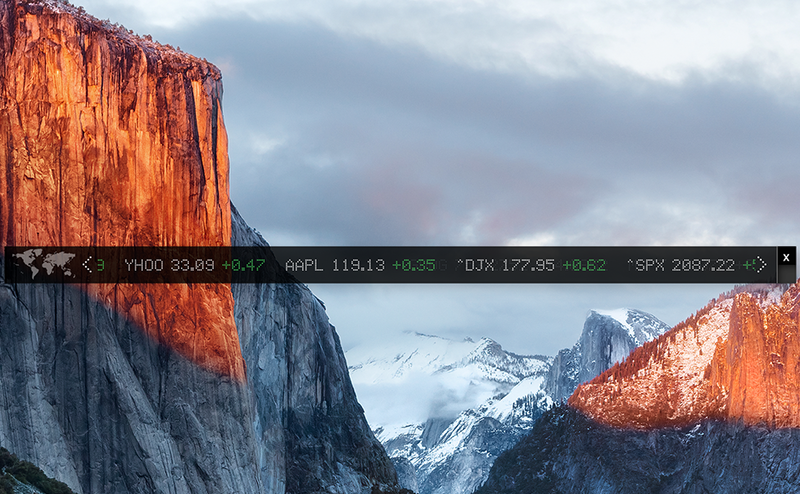 You can add & remove stock in the toolbar to customize it to your personal and favorite stocks in the bar. Default it display the current "ask" and "price" in the toolbar, but you can change this also to "Percent" or the "Market Capitalization" value. For Asian users, there is an easy switch to convert the number colors from red to green and vice versa.